..Location Est juste l'une des grandes caractéristiques de cette propriété a à offrir. Ce est un 25 minutes en voiture de l'ensemble de San Diego a à offrir. Des endroits comme Sea World, le zoo de San Diego, le port des excursions et de l'aéroport. Oceanside a le port Oceanside avec un restaurant merveilleux, la pêche et le tourisme. Le cinéma est à proximité et la jetée Oceanside est un endroit merveilleux pour marcher ou faire du vélo. Mots-clés: Très bien situé, ce 2 BR, 2 BA sol unité de la fin-de-chaussée est à seulement 100 mètres de surf et de sable. Facile d'accès, en particulier pour le chargement et le déchargement. Profitez de toutes les fonctionnalités complexes et les paramètres tropicaux luxuriants. Magnifiques chutes d'eau, des étangs Koi et bien plus encore. Disponible toute l'année ..
L'établissement propose également, en mettant piscines vertes 2 Jacuzzi d''S, salle de jeux, salle de musculation, ping-pong, salle de lavage, verrouillé la zone de stockage de vélo avec deux 26 "vélos et sécurisé place de parking fermé pour une prise en charge et pour le stationnement supplémentaires pour la deuxième voiture, il ya un zone 1 bloc de l'unité. Il ya un lit gigogne lit simple et possible de dormir sur un canapé ou exploser. Perfect Location! Clean, Comfortable & lots of amenities on property. This condo is amazing. Easy access to load and unload your car. Steps from the beach. You can walk/bike around Oceanside with ease or hop in the car and quickly enjoy all the fun southern California has to offer. Pools, hot tubs, game rooms, putting green. So many amenities. The owner has thought off everything else to make your stay perfect...bikes, wagon, sand toys & boogies boards etc. We had a great time and hope to be back next year!! This is the perfect condo with the best location to the beach. It's just across the street and the outdoor grass area is perfect for easy access to and from. We loved our beach rental! The unit was nicely decorated and well equipped. We enjoyed the closeness to the beach and it was only a few steps to see the awesome sunsets! The owner responded promptly for repair of a drain problem. We had a very enjoyable and relaxing time! I've stayed at North Coast Village many times with my parents, but this was my first time going as an adult with my own family and it was perfect! I stayed at this condo as a teenager, and it was just as great now as it was then. You'll find everything you need in the condo and the beach is at your door. I loved that there were beach chairs we could use since we don't currently have our own. There were also many other amenities provided that were definite perks, such as bikes, boogie boards, and sand toys. 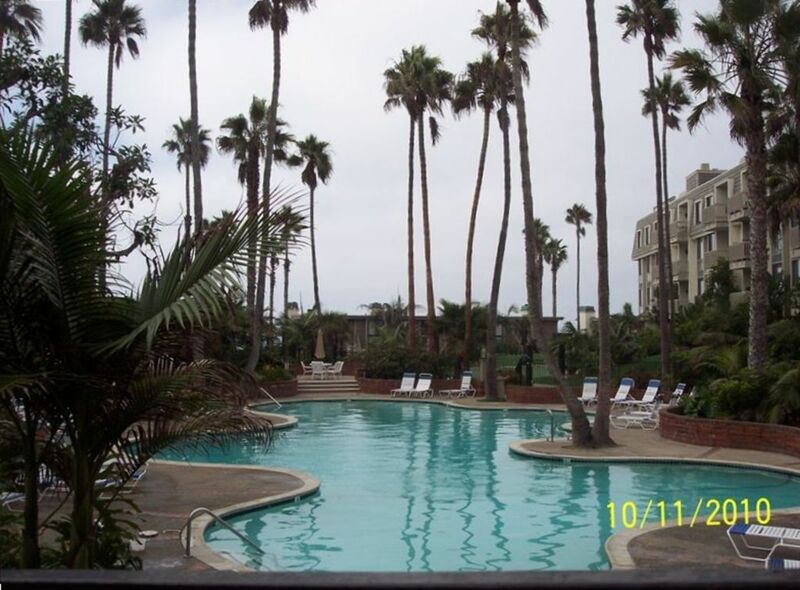 Next time we have a chance to vacation in Oceanside, we'll be giving Frank and Debbi a call for sure. À distance de marche Oceanside Harbor. Shopping, la pêche sportive, les restaurants et plus encore. Marcher aussi loin à la jetée Oceanside. YOUR REFUNDABLE SECURITY DEPOSIT OF $500. IS DUE AFTER THE LEASE AGREEMENT THAT WILL BE SENT FOR YOUR REVIEW, SIGN AND RETURNED. WE DO OFFER DISCOUNTS WEEKLY (TWO WEEKS OR MORE 10% on secondd week). BY THE MONTH, (TWO MONTHS OR MORE 10% on second month). Cleaning rates vary. By the week cleaning is $180. By the month the rate is $250. If you cancel anytime after final payment date (60days prior check in) your deposit becomes non refundable. All other money paid returned.